New Mighty No. 9 gameplay is primed and ready for your consumption. Comcept has just released the above footage, featuring a nice look at Mighty No. 2 and Mighty No. 5's stages. We're still looking at the alpha build, but it gives a glimpse of various special moves and an insight into some of the perils you'll be facing along the way. Today, Mega Man Xtreme 2, the Game Boy Color spin-off, caps off the Mega May festivities.You can download it now from the Nintendo 3DS eShop for $4.99. Christopher Niosi's "Did You Know Voice Acting?" returns this week with another in-depth look at the Mega Man series voice actors across multiple forms of media. There's a lot of neat tidbits in here about the NT Warrior animated series actors -- like for instance, did you know several characters were voiced by the three leads from Ed, Edd & Eddy? Tony Sampson, Sam Vincent and Matt Hill. Pretty awesome. 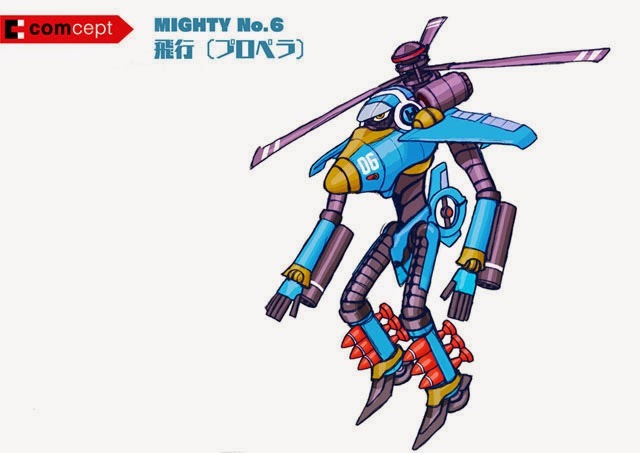 For kicks, Christopher has also included the only known English sample of Mega Man Legends 3's Aero. We still don't know who her voice actress is to this day. If you've got an ear for this sort of thing, listen closely. Can you figure it out? While fans all over the world would love nothing more than for Capcom to continue the development of Mega Man Legends 3, a small band of developers in Japan are taking matters into his own hands. Headed up by a one Kobun No. 0, team JisakuDASH3 aim to recreate Mega Man Legends 3: Prototype Version in Unity3D. You can check out a trailer for the project above. If you're in a hurry, skip to 4:27 for gameplay. To recapture the look of Prototype Version, the crew are carefully researching old screenshots, videos and other media. The models of Barett and Aero are official assets, yielding from Capcom's defunct Devroom. Some of the other models, like Teomo City, are being provided by fAB of "Tuttle's Legendary Travels" fame. Together, they're working to create a genuine experience. UPDATE: According to Nintendo Life, the team are looking for assistance from those skilled in programming, sound, and music. They hope to recruit English speaking volunteers for, what we hope will be, an English language version of the game. You can keep tabs on the game's development at the official website here. And while you're at it, follow them on Twitter too! We'll be keeping an ear out for more news too, of course. Stay tuned! In case you've been on the fence about those Game Boy Mega Man games on the Nintendo eShop, Capcom Unity's put together an informative video about all six games bound for 3DS. Capcom's Brett Elston narrates, shining the spotlight on the differentiating features from their NES (and SNES) counterparts. 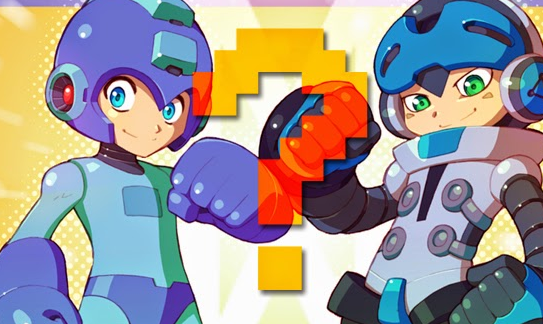 "Mega May" concludes with Mega Man Xtreme 2 this Thursday, May 29th. UPDATE (5/27): Clearer image added via Gundam Guy. 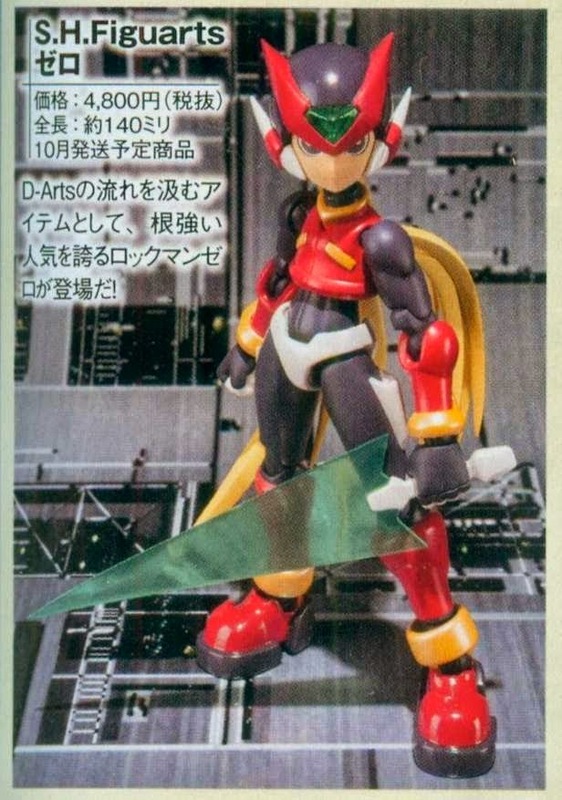 ORIGINAL STORY: By way of Japanese image board 2ch, here's our first look at Bandai's upcoming S.H Figuarts Mega Man Zero. It's a tad blurry, but it gives us a pretty decent idea of what to expect. Official promo images should be surfacing online soon, though. The figure is due in October for 4,860 Yen ($47.74 US). More news soon! "The PULSE-POUNDING CONCLUSION to the latest crossover MEGA-event from Archie comics is here! "DAWN OF X" Part Four: The time-traveling adventure reaches its explosive finale as the mystery of Mega Man’s confrontation with the rogue Wily robot is revealed! X and the Maverick Hunters have their final showdown with the mechanical monsters! And Xander Payne’s fate comes to a startling conclusion! Don’t miss this crossover between iconic eras, with a SHOCKER-ENDING that will blow your mind! Featuring all-new cover art from Mega-artist supreme PATRICK "SPAZ" SPAZIANTE and a time-spanning variant cover by Colin Lawler!" Issue #40 is due on August 6th for subscribers, in stores on August 20th. What's more, Comic Vine has the solicit for the eighth Mega Man trade paperback, "Redemption", penned for September 3rd. Thanks to Ralene for the tip! "Collecting over 10 years of UDON's Capcom artwork in one epic 600-page hardcover volume! UDON's Art of Capcom: Complete Edition gathers more than 80 UDON artists' renditions of the cast of Street Fighter, Darkstalkers, Rival Schools, Mega Man, Strider, and other classic Capcom franchises. Included are comic covers, toy designs, video game sprites, game box art, tribute art, and much more!" At 600 pages, we're probably looking at collection of the two previous Art of Capcom books with additional content. Pending official word from UDON, though, we can only speculate. UDON's Art of Capcom: Complete Edition is due on October 28th. Pre-orders are now available for $56.18. On Tuesday, May 20th, Nintendo will be shutting down part of the online infrastructure for the Nintendo Wii and DS/DSi consoles for all regions. A list of games and services affected by the shutdown can be found on the Nintendo website, but I wanted to lay out all the Mega Man and Mega Man-related games right here. Want to see how Jasco Games' Mega Man mini figures are made? Check out this video, which shows a timelapse of a few miniature poses being modeled for the upcoming board game. Everything you see is work-in-progress, pending Capcom approval. For more information about the board game, hit up the official site! 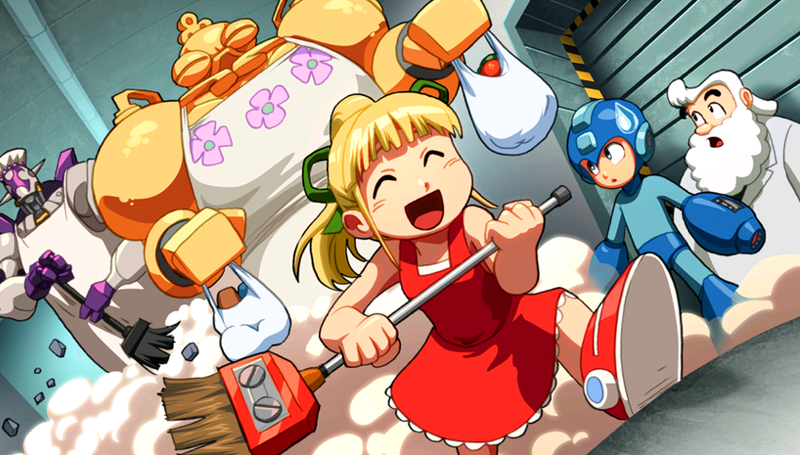 This Saturday, May 17th, Cut Stuff's extremely popular Mega Man 8-Bit Deathmatch will receive a brand new update. The long awaited version 4 patch brings refinements and additional content to the table, including new maps and weapons, seven new skins, gameplay modes, and more. See it in action in the video above. For all the details and a handy V4 Q&A, check out this thread. New month, new Mighty No. 9 update. This one features a few updates on the latest work-in-progress alpha ROM, a glimpse of a playable Call, and an official behind-the-scenes look at Mighty No. 6. In all, development is proceeding smoothly. Inafune and his team are in good spirits as the test out the latest build which features a significantly higher difficulty. The fun yet difficult genetics of a certain other franchise are indeed alive and well in Mighty No. 9. They've also begun the heavy duty work on stage design, No. 5's layer specifically detailed in this update. It sports a fresh coat of paint, among other changes. More updates and details available at the Mighty No. 9 development blog! Capcom and Nintendo's "Mega May" continues with two additional Game Boy classics! 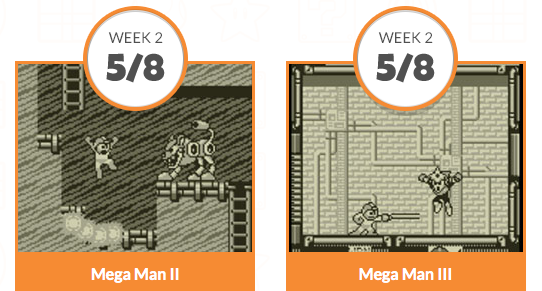 Today you can snag Mega Man II and Mega Man III from the Nintendo 3DS eShop for $2.99 a pop. Mega Man IV is up next on Thursday, May 15th! 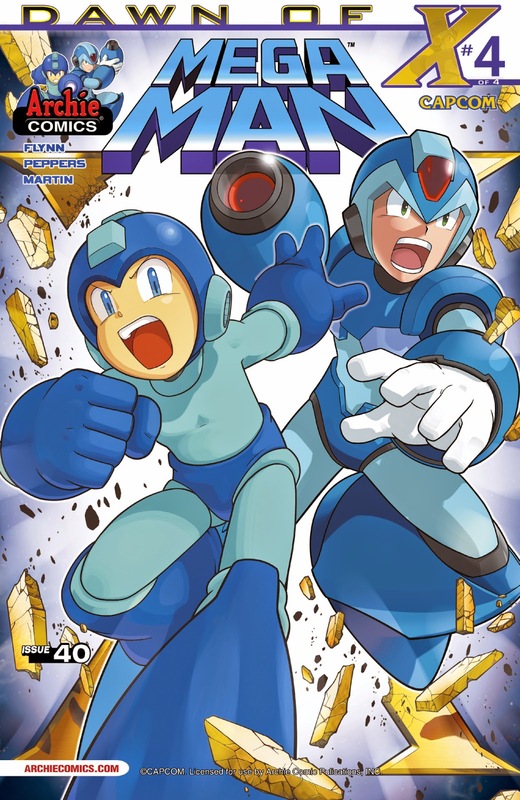 If you'll be making it to the San Diego Comic-Con later this summer, you can stop by Archie's booth and pick up this special variant cover edition of Mega Man #37, the start of the "Dawn of X" crossover story arch. It features a spiffy CG render of Mega Man and X leaping into action! As the pattern dictates, we can probably expect a $10 price tag on this one. Maybe. More details closer to SDCC, I assume. We'll keep you posted! 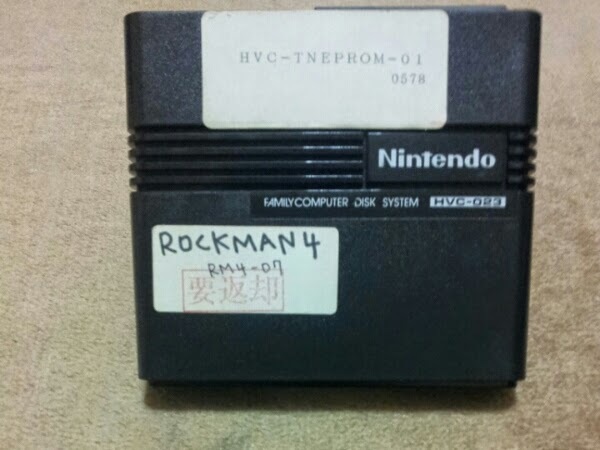 A listing for a Rockman 4 prototype has appeared on Yahoo Auctions Japan. It is one of few protos developed in a Famicom Disk System RAM adapter. No telling just how different it is from the final retail version, but it's not every day we come across something quite like this. If you're interested on bidding, you'll need to go through a proxy service (Rinkya, for example). Bidding starts at 30,000 Yen (roughly $293.43 US). 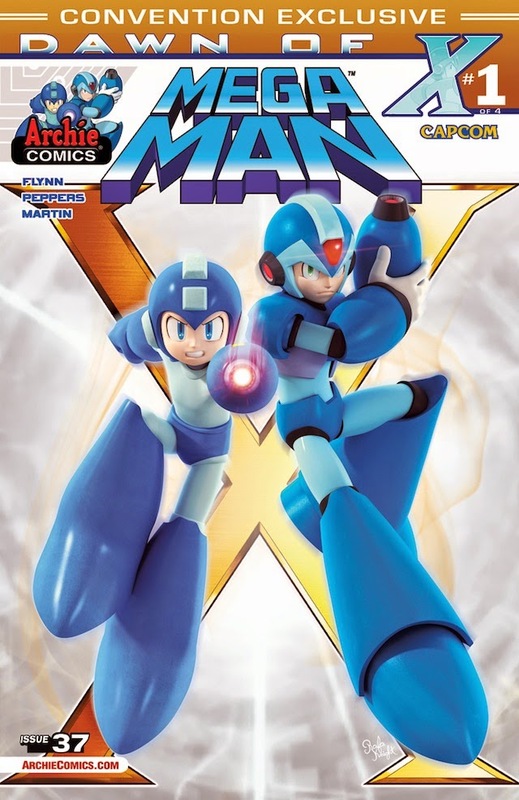 Grab A Free Issue Of Archie's Mega Man X Today! 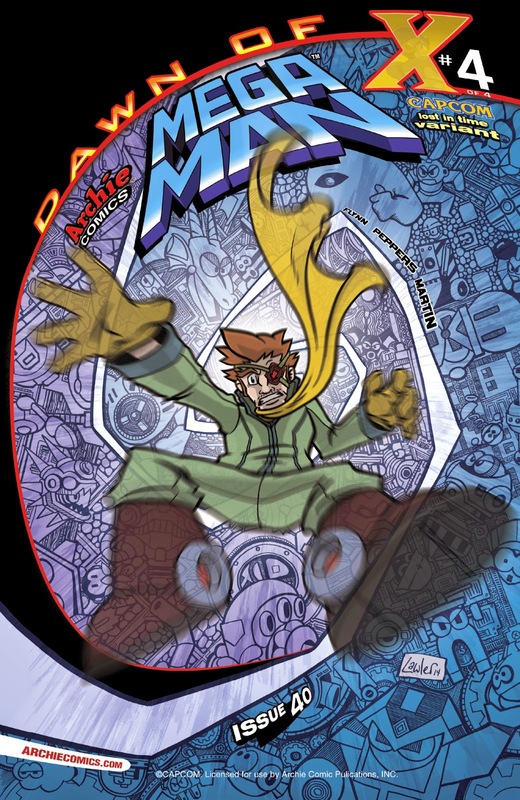 Just a reminder for all of you Mega Man and comic book fans in general: Today, May 3rd, is Free Comic Book Day. One of the many books available is a two-sided Mega Man X/Sonic the Hedgehog flipbook which contains the premier Mega Man X issue. Did I mention it's free? To find a comic shop near you, call 1-888-comicbook or visit ComicShopLocator.com. You can also find out the full array of titles up for grabs at FreeComicBookDay.com, though selection may vary from comic shop to comic shop. Thanks to Eric and digi148 for the heads up! So yeah, that's pretty much all there is to say at this point. I may even look into getting some download codes for the occasion. Who doesn't like free stuff?